From around 2005, solar PV (photovoltaic) installations on rooftops were booming in Germany. The trend was driven by high feed-in tariffs, providing households an attractive and stable business opportunity. The extra cost of solar power was spread over the electricity bills of all. Banks, trusting in the government's commitment to the industry, were willing to give consumers highly-leveraged credit lines, in some cases even offering a loan for 100 per cent of the system cost. The solar power was not consumed by the household but fed into the grid. Matching solar generation and household's load profile was, therefore, not necessary. Thus, if a household had rooftop space and did not mind the aesthetics of PV panels, going solar was a no-brainer. Banks, keen on providing the loans, as well as companies (EPCs), keen on selling the systems, lost no time marketing the opportunity. It helped that many Germans saw solar power as part of a larger political agenda to save the climate and reduce pollution. For some, rooftop solar even became a statement of democratic autonomy in the face of big, monopolistic utilities. The market grew rapidly. By the end of 2015, Germany had almost 40 GW of installed solar capacity, half of which was on rooftops. If you fly over southern Germany today, you will see solar systems gleaming on almost every roof. Over the years, as rooftop solar power grew, it became cheaper (and feed-in tariffs were lowered accordingly). There were two drivers for this. The first was the reduction in the cost of equipment, mainly solar PV panels. This was triggered by aggressive Chinese manufacturing expansion, creating economies of scale. The second driver was the steep learning curve. The more installations German EPCs were building, the lower their soft, non-equipment costs became. As a result, the cost of electricity from rooftop solar there became one of the most competitive - despite the comparatively low levels of irradiation. 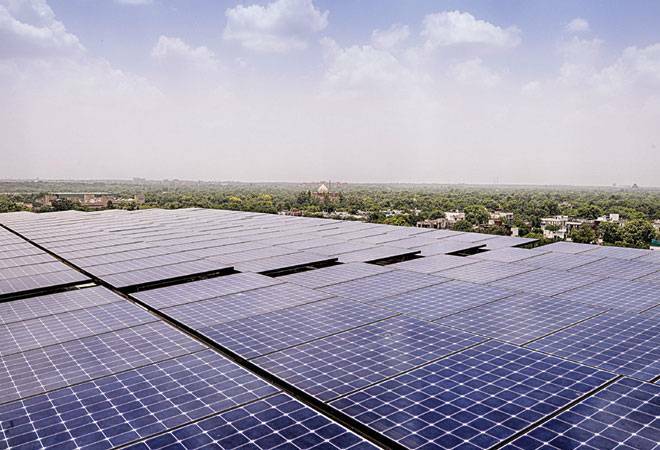 Over the past few years, as the German solar market has slowed to a more steady, unsubsidised level, India has emerged as one of the most dynamic new markets. It wants to build as much as 40 GW rooftop solar by 2022 (out of its total target of 100 GW). Is the German solar rooftop story a success that India can learn from? That depends on whether it can be called a success and on whether the Indian situation today is comparable to the German situation 10 years ago. Let's address the first question. Solar power has been a success in Germany in certain ways. The political tools (the feed-in tariff and the comprehensive renewable energy law) worked - arguably even better than the government anticipated. They created a secure, predictable and attractive market environment, enabling the growth of an entirely new industry with skills, knowhow and innovation. That was one goal. A second goal was to decarbonise the German electricity sector (while at the same time retiring nuclear power plants). In that respect, the success has been limited. Today, renewables contribute around 30 per cent to the German electricity mix. The largest share comes from wind (13 per cent). Solar contributes only 6 per cent. Overall, decarbonisation is not on track for achieving the target of 40 per cent reduction by 2020 compared to 1990. This is mostly due to the heavy use of dirty lignite instead of far less carbon intensive natural gas, which in turn is an unintended consequence of the dynamics of the electricity market following the growth of renewables. I would, however, argue that the German solar story is a success overall. Despite great fears that infirm wind and solar power will destabilise supply, the country still has one of the most reliable electricity grids in the world. Operators have learned to work with higher volatility and more market complexity. This experience is central to the development of future 'smart' grids and constitutes a competitive advantage for German companies. Secondly, German solar power growth has been a catalyst for cost reduction globally. Without German power consumers paying for solar power (and without Chinese tax payers subsidising solar panel manufacturers), the spectacular 80 per cent cost reduction in the past 15 years would not have been possible. Can India learn from Germany? Not much. Conditions here are fundamentally different. Germany clearly had a climate and an ecological motive for its 'Energiewende'. It was ready to pay extra for clean power. Also, it made changes on a plateau of slightly falling power demand. India's priorities are elsewhere: how to ramp up overall power generation fast enough to fuel industrial growth, how to increase energy security, how to reduce local pollution, and how to provide power to the millions still without reliable grid power supply. India has formulated its ambitious 100-GW target (and signed on the Paris Agreement in 2015) because its politicians recognise that solar is a cost competitive and quick-to-implement option. Germany's solar feed-in tariff adds around Rs 4 to each kWh consumed. This would be unacceptable in India, where solar might soon reduce the average cost of power. While the utility-scale solar market in India is well established, the rooftop market is lagging behind. There is still less than one GW of installations in the country (roughly equally divided between industrial, commercial and residential segments). The Indian government is used to auctioning and monitoring large infrastructure projects, an approach that has so far worked reasonably well for utility-scale solar. The rooftop segment, however, with potentially millions of small systems, requires a different governance skill, namely that of creating a market. That is far more complex than auctions.